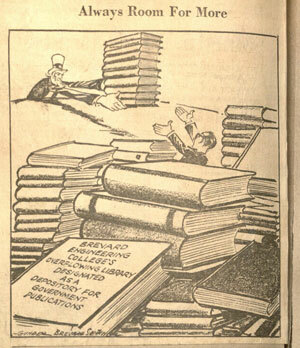 By 1964, Jerry Keuper knew that Countdown College’s survival hinged on the college’s winning accreditation. 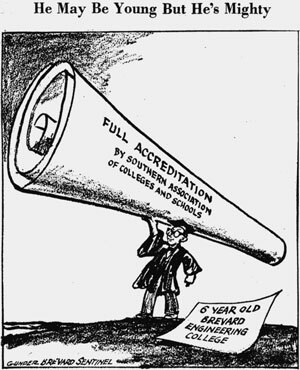 In 1959, Gordon Sweet, executive director of Southern Association of Colleges and Schools (SACS), had told Keuper that the school was not ready for accreditation. Undaunted, Keuper hired a consultant familiar with SACS policies. Jim Stoms recalled that Keuper invited the president of Armstrong College in Savannah, Georgia to come to Melbourne and prepare a plan for BEC’s accreditation campaign. Keuper agreed to pay three hundred dollars plus the expenses for the evaluation. At the end of the day, the consultant told Keuper that in fairness he could not accept the fee. There was no way that BEC was going to be accredited. Keuper persisted. On one track, he cultivated a friendship with Gordon Sweet. When he learned that SACS‘s executive director was an avid golfer, Keuper sent Sweet a new set of golf clubs. Sweet, who was renowned for his churlish temperament, told Keuper that he already had five sets of clubs. Furthermore, the set Troy State gave him was nicer. 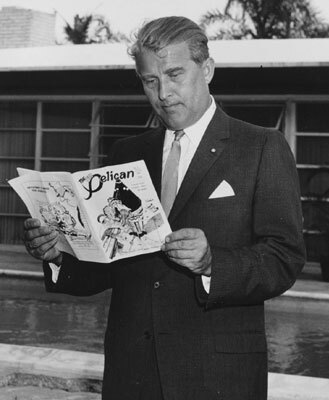 By 1963, Keuper and Sweet had become friends. When pressed to itemize what BEC would need to do to win accreditation Sweet told Keuper that the school must have a new library before SACS would consider making an accreditation visit. The problem was that the school had no money for such a substantial project. Support for the college’s accreditation came from unexpected sources. First, Melbourne’s city commissioners passed a resolution conferring their “whole-hearted endorsement” for the college. “Brevard Engineering College is the biggest asset the city has,” Commissioner James Beach declared, “and we’ve completely ignored it for five years.” “It’s about time,” City Commissioner George Kaufman agreed, “the city recognized the college. It should have been done years ago.” Two months later the Melbourne City Commissioners backed their words up with a resolution establishing a $5,000 yearly allocation to the college. Nineteen months elapsed before the commissioners honored their commitment. During the next few weeks Keuper and the leaders of the Junior Women’s Club hammered out a strategy. 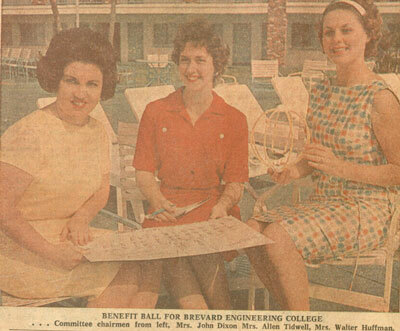 The Junior Women’s Club opened their fund-raising drive for the school with a proclamation calling for a “Brevard Engineering College Day.” During February and March, Keuper and BEC’s Board of Regents solicited contributions. The culmination of the fund-raising drive came on April 4, 1964 in a formal dinner dance which would be hosted by the Junior Women’s Club. The plan was to begin the day with ground-breaking ceremonies for the library and end it with a gala celebration on the beach. With these plans in motion and Keuper’s promise that the library would be built, Gordon Sweet agreed to send a SACS accreditation team to BEC. The team would arrive in Melbourne on May 10. Keuper acknowledged that accreditation was unlikely “unless the library is under construction at that date.” By March, the Junior Women’s Club had raised close to $20,000. The library’s fate depended on the formal dinner dance to be held in the Gold Room at the Ramada Inn on the April 4. On May 10 the five member SACS visitation team arrived in Melbourne. Jim Rathman, a local car dealer and former Indianapolis race car driver, placed a brand new, white Cadillac at the visitation team’s disposal during their visit. Keuper put the car to good use. A year earlier a young man named Allan Green had appeared on campus and asked for a job. Keuper hired him at seventy-five cents an hour as his office boy. Keuper put a white shirt on Green and made him the visitation team’s chauffeur. Since the majority of BEC’s classes were at night, Green was instructed to drive the distinguished visitors wherever they wanted to go in the daytime. In the afternoon Green was to bring them to campus so they could see the new library. 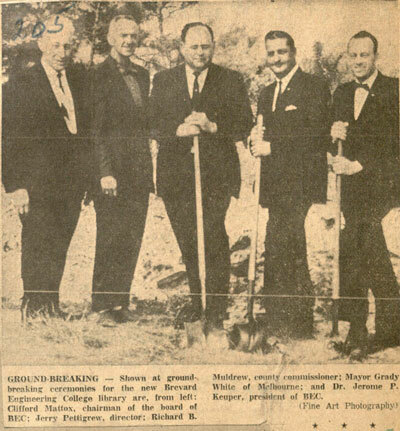 Note: On Saturday, January 23, 1965, BEC’s library was formally dedicated. In 1984, the library was moved to its present location and the structure was renamed the Jerome P. Keuper Administration Building.